In this bundle you will get more than 2200 items, such as: random handdrawn elements, hearts, cards, old style frames, wreaths, movies, flowers, animals, menus, vouchers, icons etc. File format: .jpg, .png, ai, .eps for Photoshop or other software. 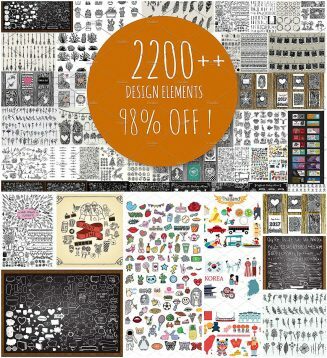 Tags: certificate, creative pattern, doodle, feather, hobby, icon, leave, line art, marriage, menu.